Let this ring take you back to your roots with its organic look. 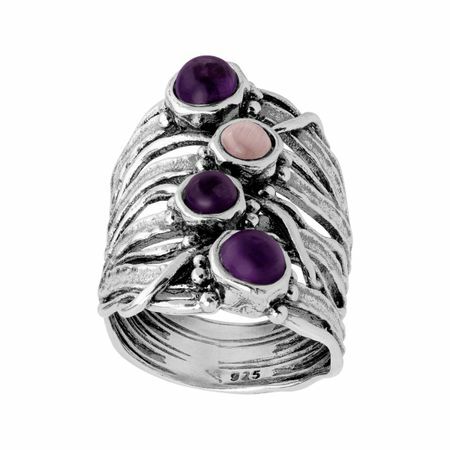 Textured 'roots' are offset by deep amethysts and a pink cat's eye for a splash of color against its sterling silver setting. Ring face measures 1 1/16 inches in width. Piece comes with a “.925” sterling silver stamp as a symbol of guaranteed product quality.